Joe leads Plus 3's technology-based efforts and sets marketing and sales strategies. By leveraging Joe’s experience in wireless communication, software and Web development, Plus 3 brings innovative and consumer friendly web and mobile applications that grow active participation and drive consumers into affiliated retailers. Twenty years of experience in the high tech market, serving in a variety of positions with leading companies in the industry including Palm, Handspring, Microsoft and IBM. At Palm he was responsible for the marketing of the wireless line of the company’s solutions to the business audience. Joe spent 10 years at Microsoft, where he was part of the team that to the formation of the Microsoft Silicon Valley campus and held positions as a Systems Engineer, Sales Executive, Marketing Manager, Education and Government Sales Manager, and Western Region Marketing Director. In 1992 he was awarded the Chairman's Award by Microsoft CEO Bill Gates. Athletically, Joe is a 3:58 miler and an avid Masters cycling and cycle cross racer. Dedicated and motivated professional with a strong background in Marketing, Public Relations, and Business Development. Years of successful experience consulting on multifaceted promotional projects and facilitating positive relationships with a wide range of clients, colleagues, stakeholders, and key business partners. Consistently recognized for outstanding contributions to the bottom line and brand development. Solid reputation for resolving complex issues. Commended for organization, perseverance, efficiency, and account management skills. Deena is a highly sought public speaker and a renowned advocate for living an active, fit life. Deena is the American record holder in the marathon and an Olympic bronze medalist in 2004 Athens Olympics. Specializes in financial analysis, investor relations and working with non-profit boards. Steve has served on health care industry boards and has filled treasurer and project management roles. Steve is a frequent speaker at health care finance conferences and guest lecturer for courses on tax-exempt financing and hospital financial analysis. He has served as board member and treasurer for community organizations including local youth sports club. Ran the local 1,000 member intramural soccer program and have been a coach or referee for youth soccer since 1992. 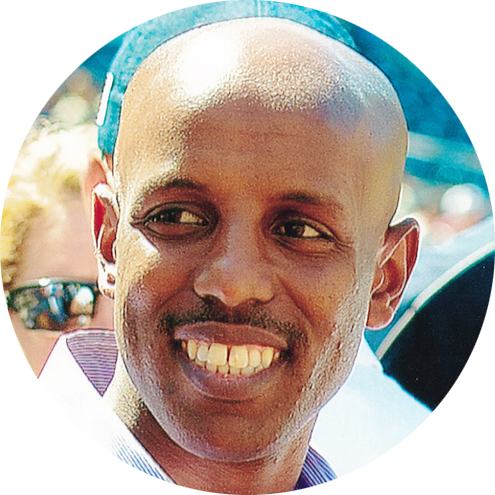 He is a lifelong runner who competed in track and field through college and road racing for over 15 years after college. HSJ is a sports management and consulting firm that specializes in marketing and networking between the US and Japan. HSJ, Inc. that has ongoing relationships with some of the top consulting and marketing companies in the world. Willie is in the USA Track & Field Hall Of Fame. One of the greatest triple jumpers ever produced by the United States including holding the world record. EPICOACH focuses on helping clients unlock their potential through a series of detailed questions meant to guide the client on a journey of self-discovery. The American Odyssey Relay is an epic 200 Mile, 12 person to a team, relay race. The Old Glory Relay is a cross-the-USA relay honoring America’s veterans. 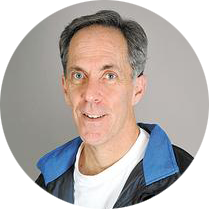 Bob is a fitness and running advocate and trainer. He was an executive at United Health Care. Ashley Higginson is a professional runner for Saucony and the NJ*NY Track Club. A 2013 World Team member and Pan-American Games Champion, she joins the Board as she begins her legal career as an associate at Riker Danzig Scherer Hyland and Perretti. A 2011 graduate of Princeton and a 2015 graduate of Rutgers Law, she has been an AthleteBiz athlete and still competes, understanding the needs and struggles of post collegiate athletes making the transition to professional running. Jack has held significant volunteer leadership roles in the sport of Track & Field for the past 7 years. He was a senior executive at UnitedHealth Group for 12 years, with deep involvement in health & wellness service delivery to millions of Americans. Jack ran track at Bucknell University.